In the August 16, 1991 issue of "DC" we ran a front page story on the state of chiropractic in Japan, "Unity -- A Turning Point for Japanese Chiropractic?" The authors were DCs Kazuyoshi Takeyachi, and Mitsumasa Endo of the Chiropractic Council of Japan. While that article presented some positive aspects for chiropractic in Japan, it also noted a familiar foe that is as active in the East as it is in the West -- what might be called the allopathic discrediters of chiropractic (ADC). Drs. Takeyachi and Endo let our readers know that the Japanese Ministry of Health and Welfare (JMHW) had published an official research report of manipulative therapy in 1990 that had been critical of chiropractic. The JMHW appointed eight MDs to investigate and evaluate chiropractic effectiveness, contraindications, and complications. Four of the MDs were professors of orthopedics; the other four were hospital directors. We recently received a copy of that report from Ron Hendrickson, executive director of the ICA. The report, "Medical Research on Manipulative Therapy for Diseases of Spinal Origin," asserts the lack of scientific validation for chiropractic theories and methods; warns of the dangers of chiropractic care; and admonishes Japanese chiropractors for making exaggerated claims. The report begins with a limited definition of chiropractic: "Chiropractic is a therapy that treats various diseases by adjusting the mechanical imbalance of the spine and pelvis." Chiropractic theory, the report says, should be called "ideology" because "chiropractic theory is not clinical theory based on functional pathology." Regarding the subluxation complex, the report states: "It is not provable on x-ray film or other methods of investigation, and its scientific definition is unclear without concretion and evidence. In sum, medically, it is not possible to show evidence of the relationship between the subluxation and complaint of symptoms at this time." The authors explain manipulative techniques and warn: "There are many different techniques in chiropractic, and some of them are dangerous, especially the quick thrusting method for cervical adjustment, which has a high possibility of causing damage to some patients. Therefore, this method of treatment should be highly discouraged." The case investigation begins with four "actual individual cases" (reported by Japanese orthopedics) "whose treatment resulted in worsening of the problem or other injury unrelated to the original disease." This section of the report is a hodgepodge of unscientific data and broad leaps of conjecture. This is the introduction to the four cases -- let the report speak for itself: "The following are cases of patients who had organic impediment which was undoubtedly damaged or aggravated by chiropractic treatment." The second part of the investigation is an analysis of a small sampling of cases (total of 54) which were solely collected (hand- picked may be the more appropriate phrase) by the Japanese Orthopedic Academy, and members of the Japanese Clinical Orthopedic Association in 1985. The report flatly states: "... the harmfulness of chiropractic treatment is obvious ..."
The "investigation" of the effect of chiropractic treatment for scoliosis patients (7 cases out of the 54) was done by questionnaires answered by patients at the Murayama National Sanitorium. The MDs differentiated the nature of the supposed chiropractic damage to the patients by asserting the presence of "active damage" and "passive damage." "Active damage" was explained as distortion of joints and fracture of vertebra, rib, and femur with violent manipulation." "Passive damage" was the "interruption of receiving proper treatment, (i.e. allopathic) and a resultant loss of effectiveness of treatment." 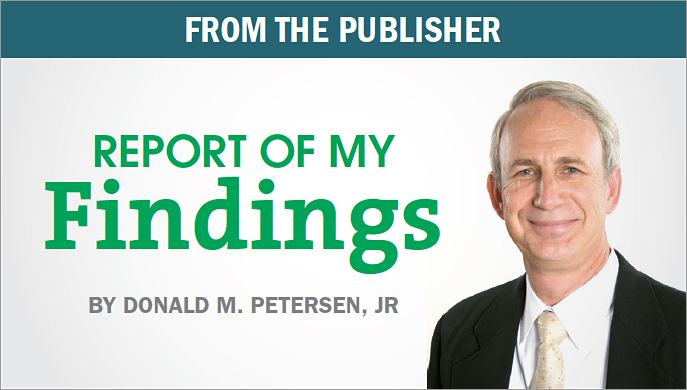 Ron Hendrickson characterized the report as predictable, reflecting the same criticisms that have surfaced around the world every time the issue of the validity of chiropractic is considered by medically-oriented public authorities. He added, "The report's handling of the issue of chiropractic safety reflects the clearest picture of medical bias and misunderstanding of chiropractic. Individual case histories were cited as evidence of an overall pattern of risk in the routine provision of chiropractic care." Dr. Mitsumasa Endo, co-chairman of the Chiropractic Council of Japan said: "Unlike the commission of inquiry into chiropractic in New Zealand, the method of investigation was extremely unfair." The report concludes by calling for regulation of the chiropractic profession, and the prohibition of "extravagant advertising and the exaggeration of its effectiveness." The report also criticizes chiropractic practitioners: "It is also feared that they bring about confusion into proper medical care by their explanation of the causes of diseases and mechanisms of symptoms and occurrence with selfish and inductive explanation." The beleaguered Chiropractic Council of Japan needs the assistance of the world chiropractic community. The report reveals that the Japanese MDs are either not up-to-date on studies that have shown chiropractic to be effective, or they are not attempting to gather such information. Council Co-Chairmen Dr. Mitsumasa Endo and Dr. Kazuyoshi Takeyachi have requested that research papers and studies dealing with chiropractic's effectiveness be provided to the council to help educate the MDs responsible for this report and help counter the anti-chiropractic propaganda the government is being fed. A copy of the Japanese government study in English is available from the International Chiropractors Association upon written request to the address below. Please enclose a self-addressed mailing label.